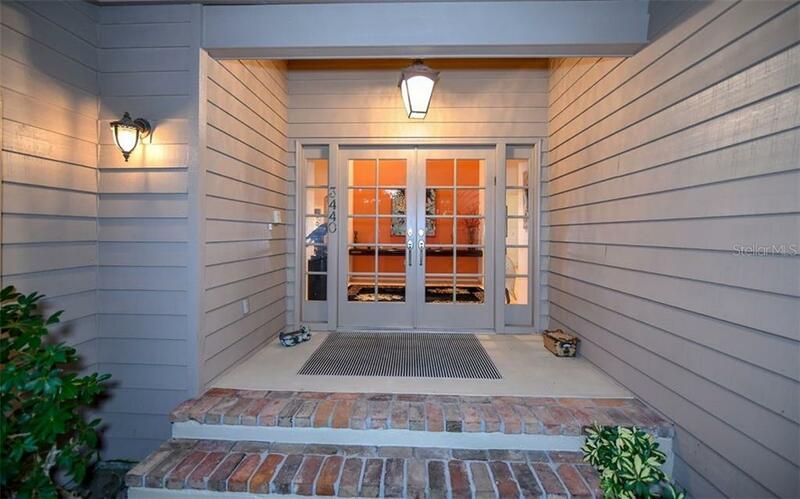 Ask a question about 3440 Bayou Ct, or schedule a tour. 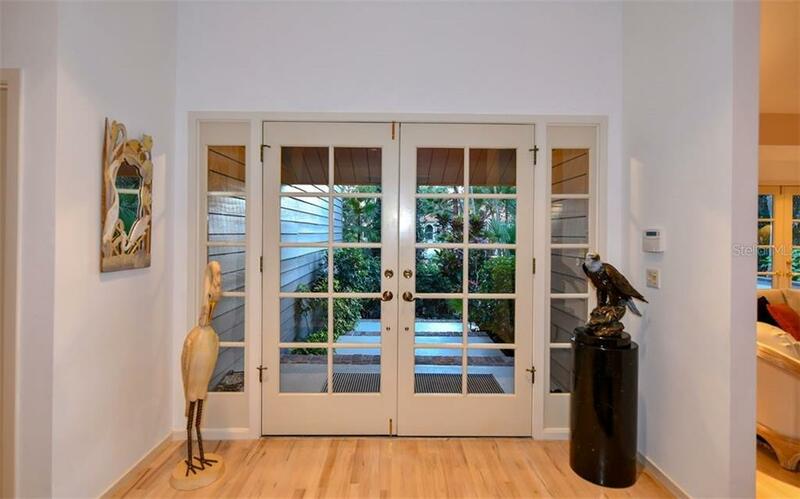 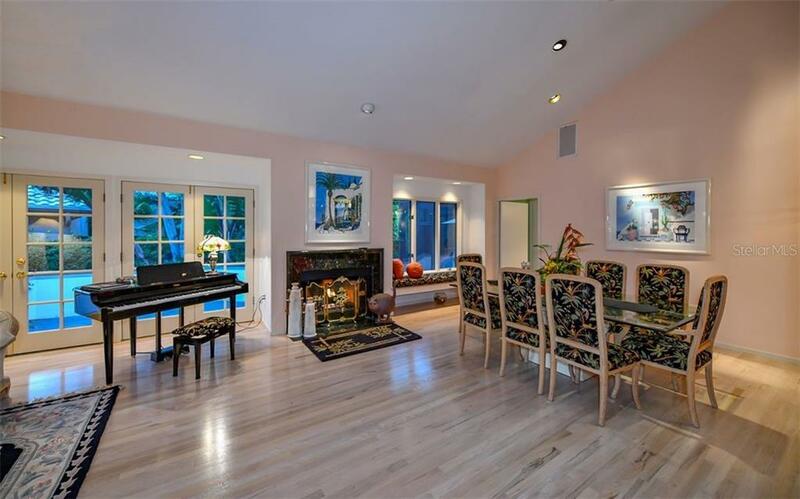 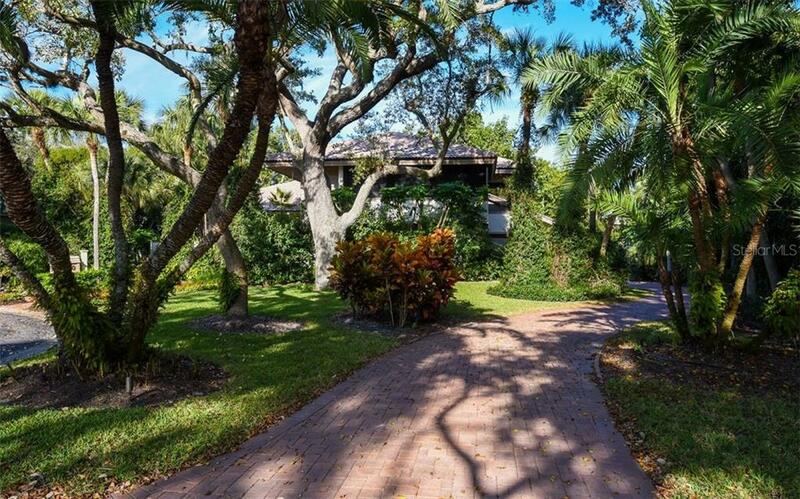 A serene, treed setting creates a private, shaded ambiance for this beautifully customized, 3,100+ sq.ft. 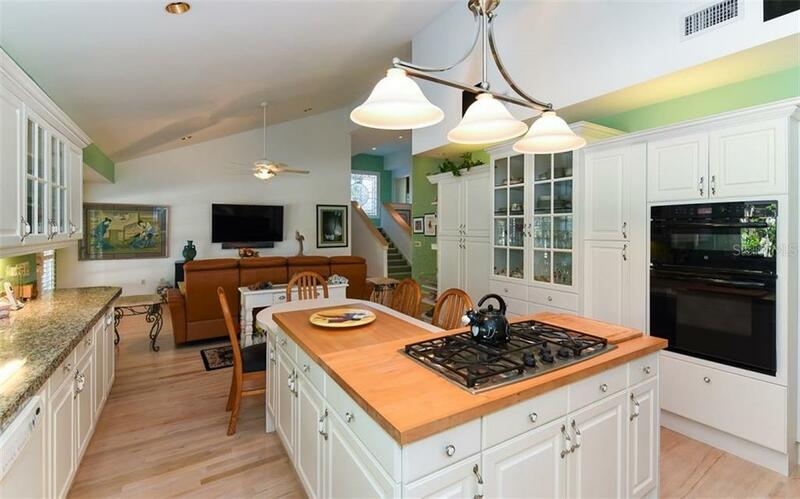 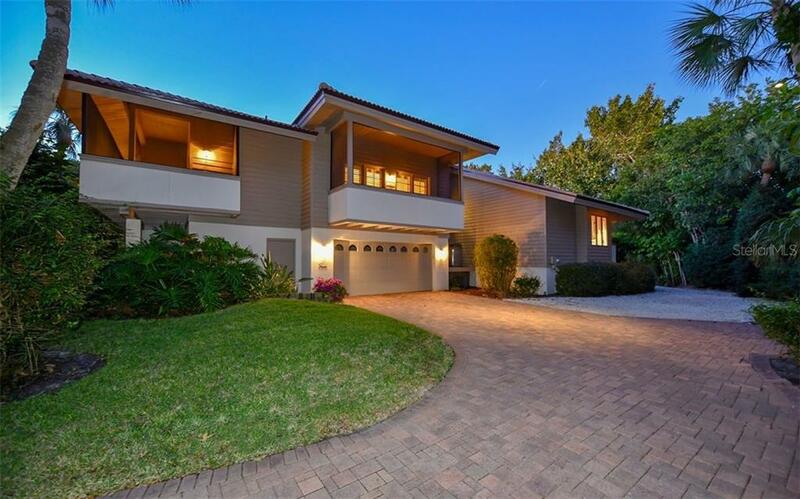 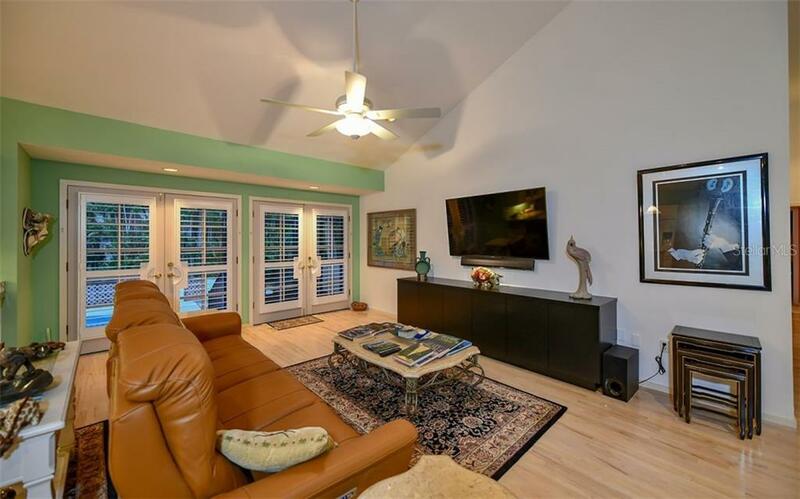 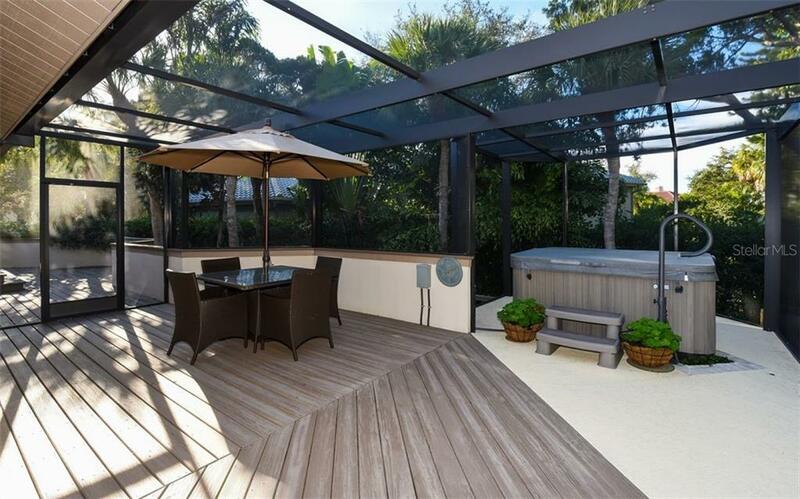 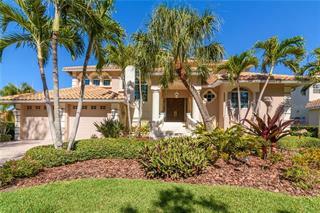 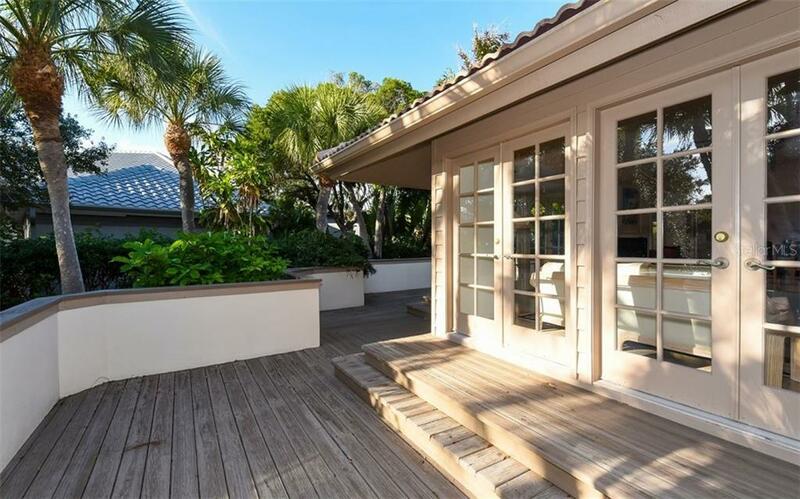 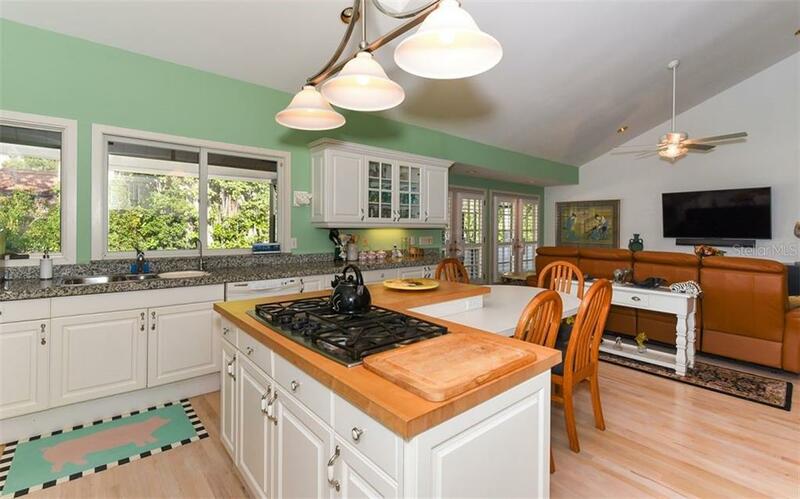 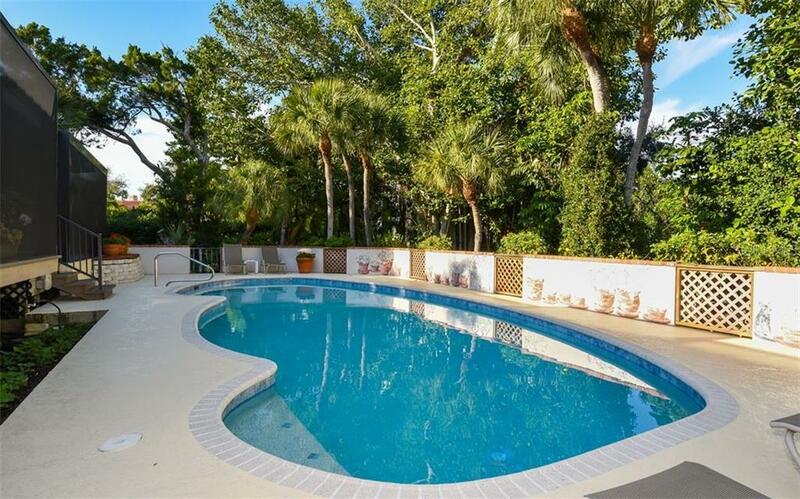 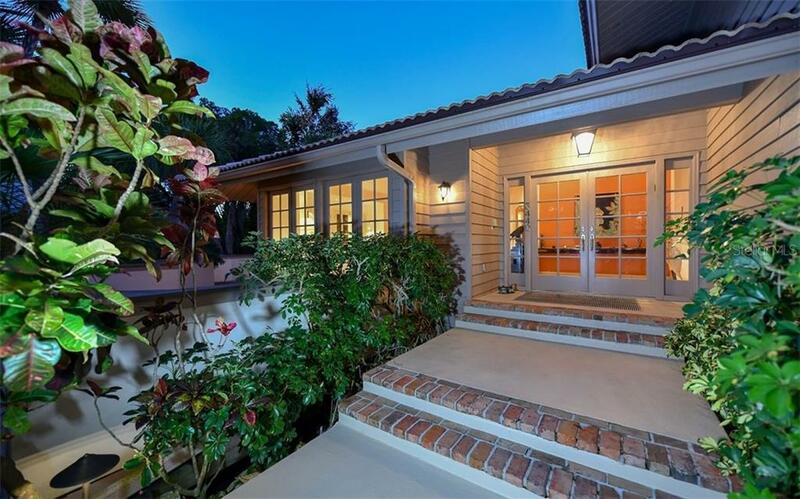 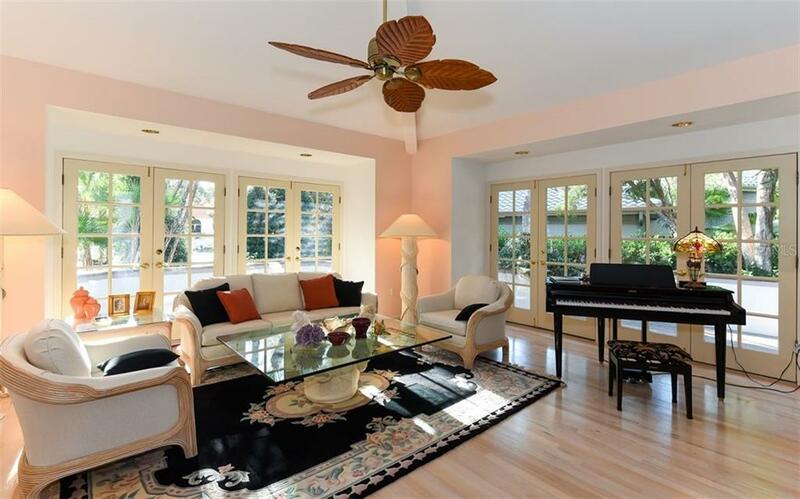 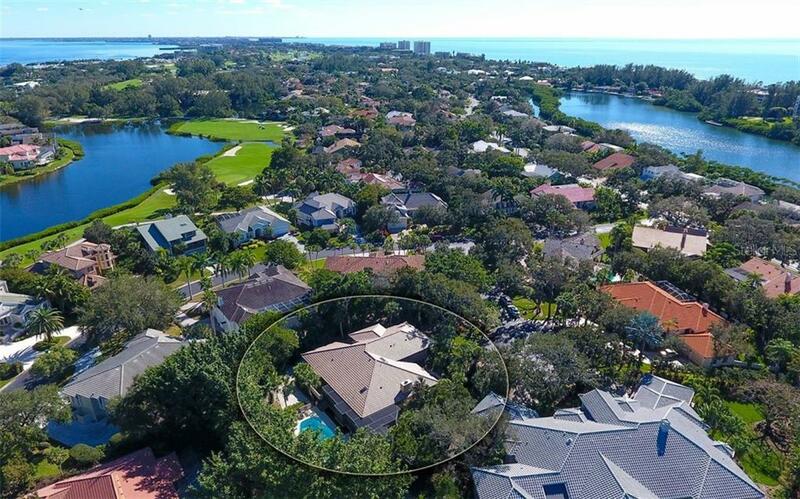 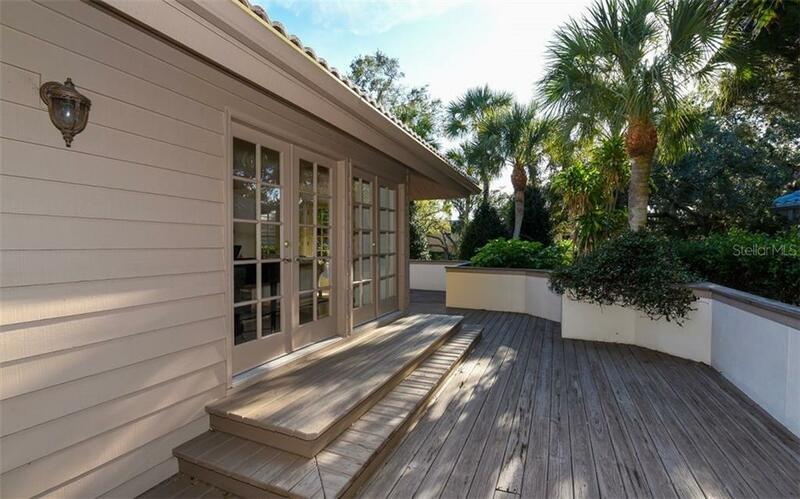 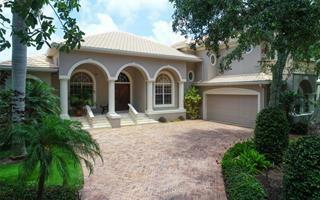 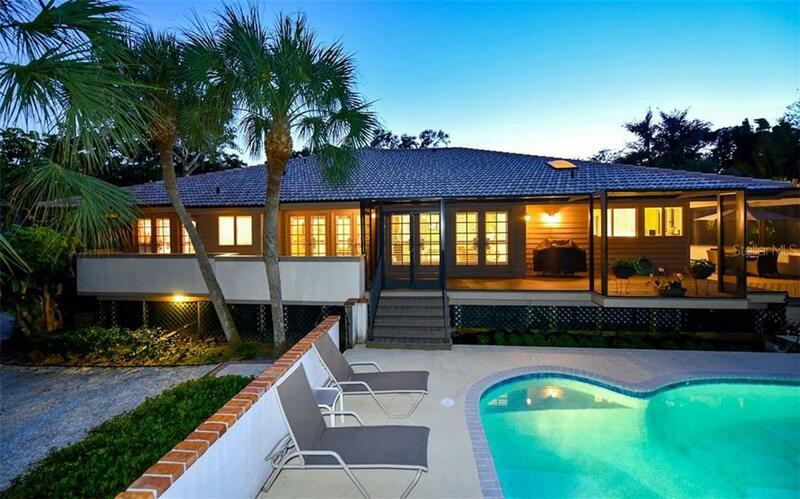 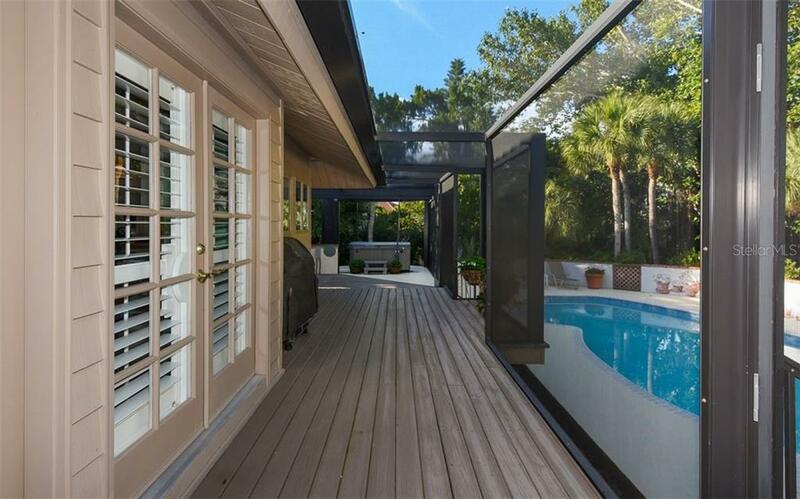 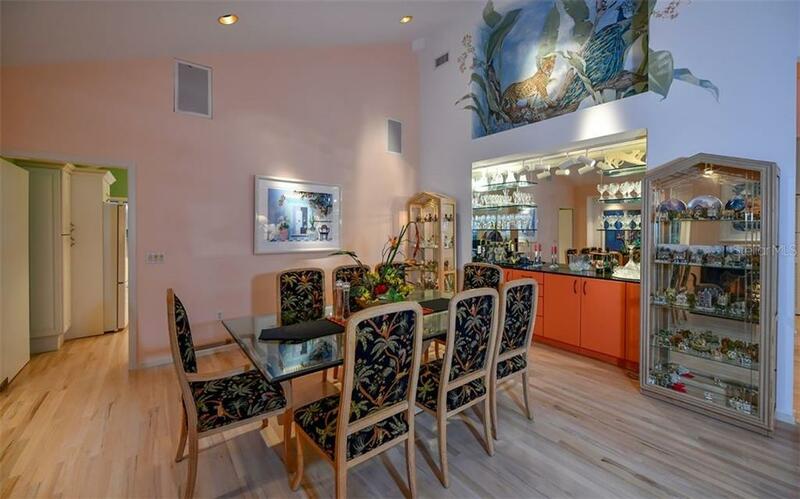 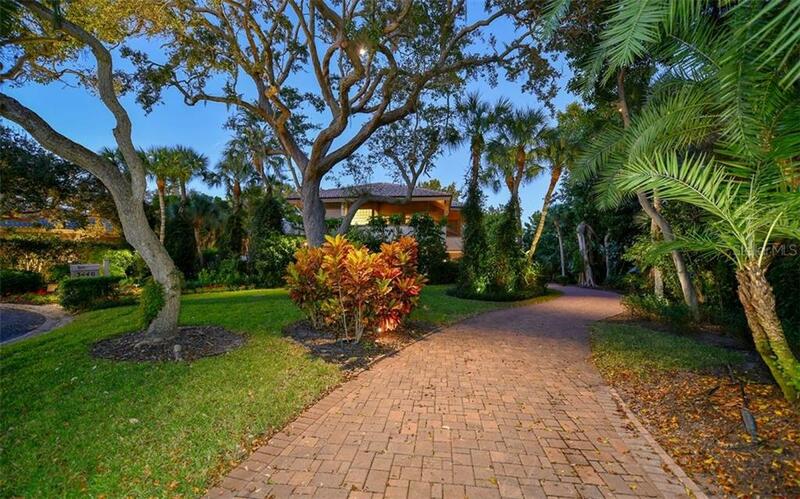 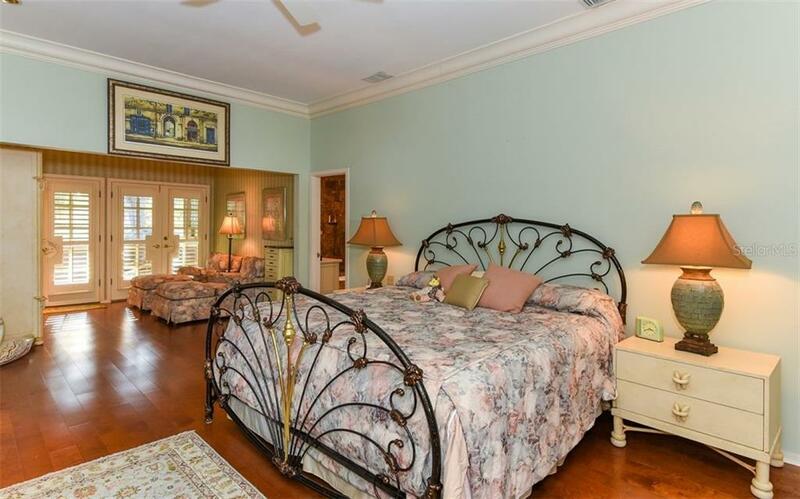 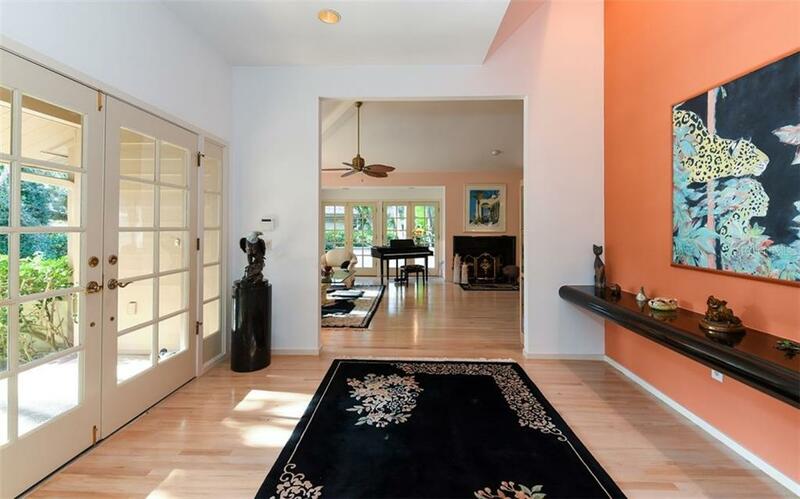 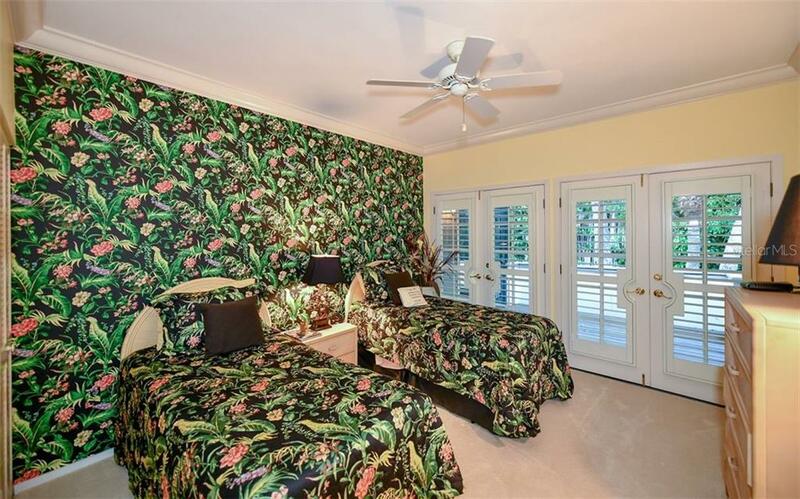 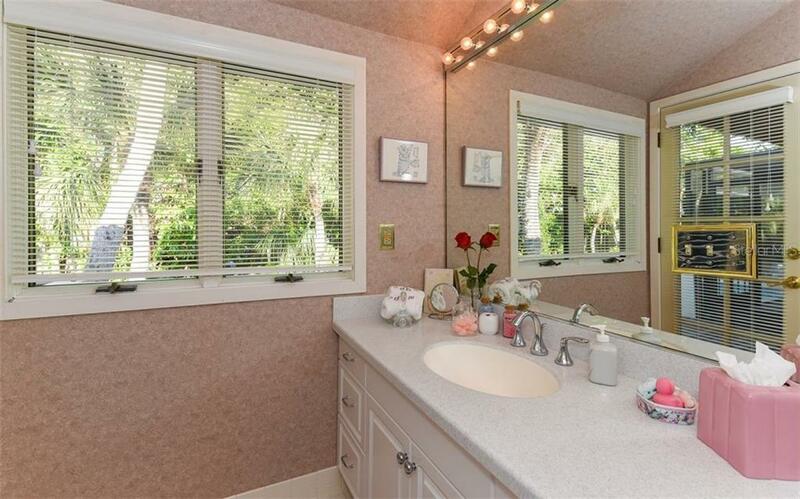 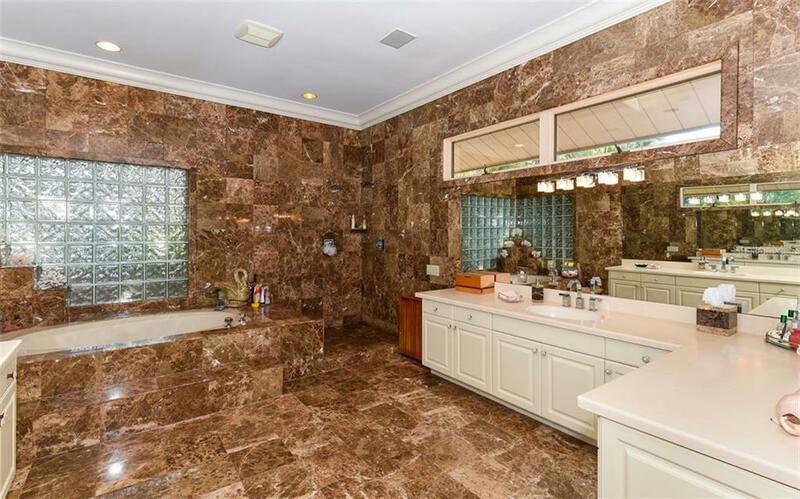 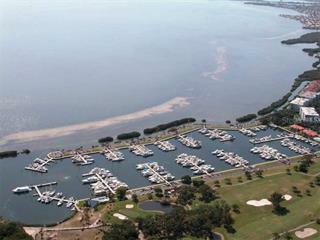 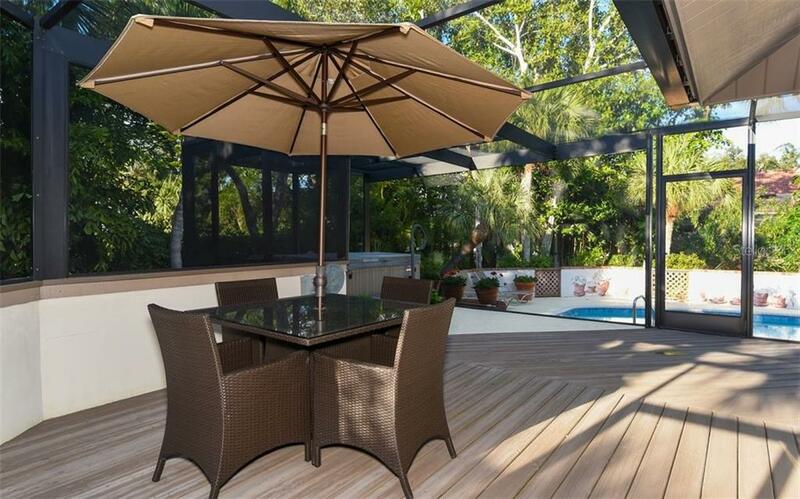 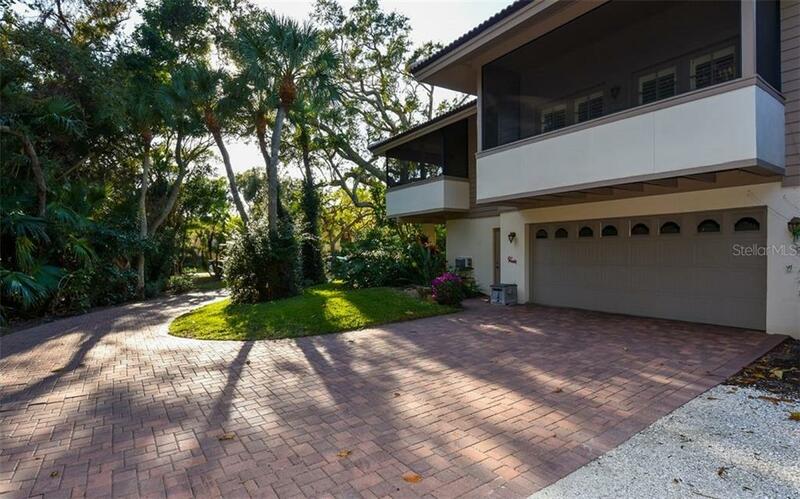 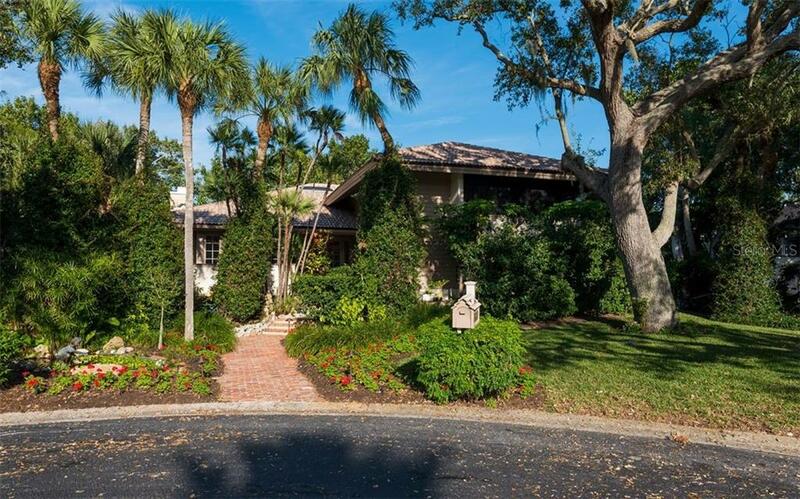 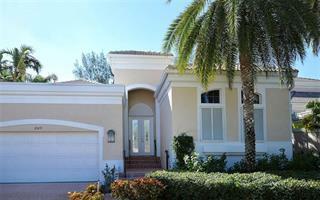 home set on one of the largest lots in Longboat Key’s treasured Bayou section. 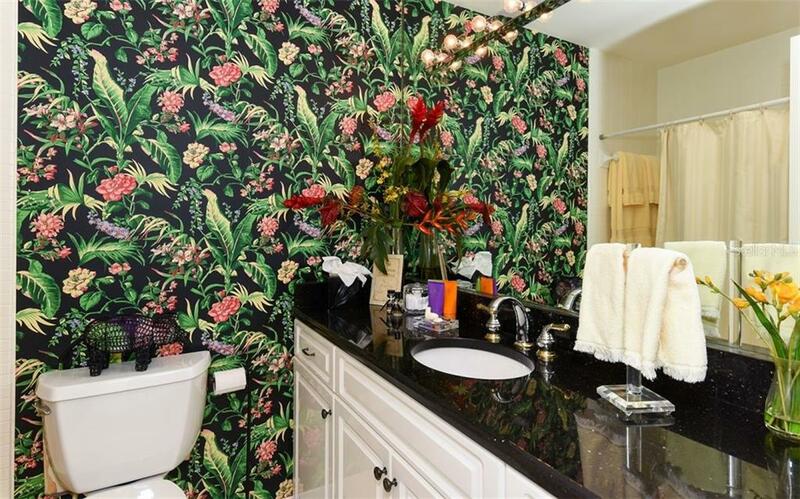 Set back from the cul-de-sac and enveloped by lush... more. 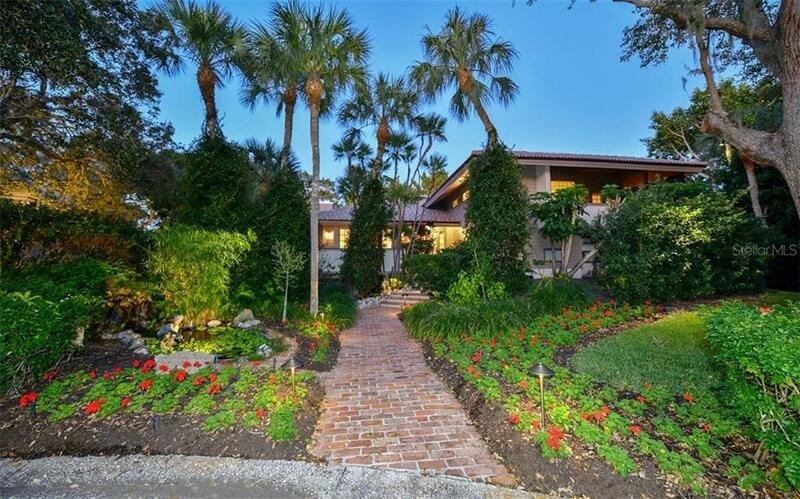 mature landscaping, a meandering paver walkway slowly rises with brick steps and leads to the double-door front entryway and the gleaming white pickled oak hardwood floors that flow throughout the main living areas. 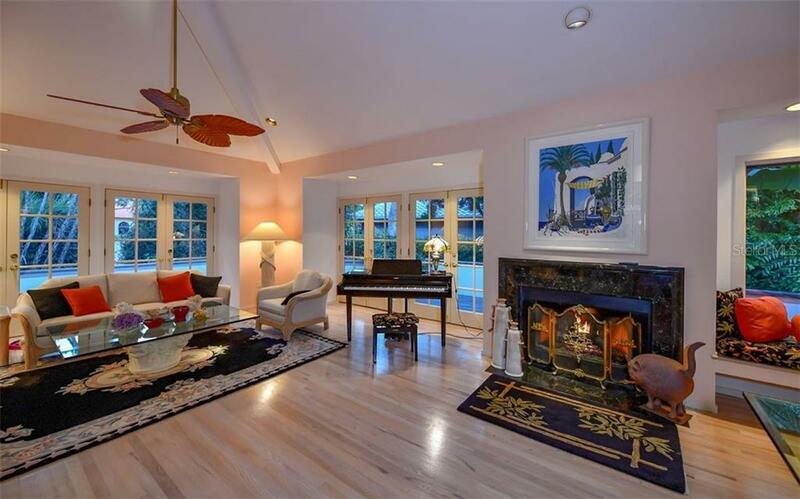 A spacious, seamless, carefully planned layout eases the transition from foyer to living room, dining room kitchen and family room, as volume ceilings, a fireplace and recessed French doors set a perfect stage for entertaining with all main living areas opening to decks, the newly resurfaced open pool and tropical vegetation beyond. 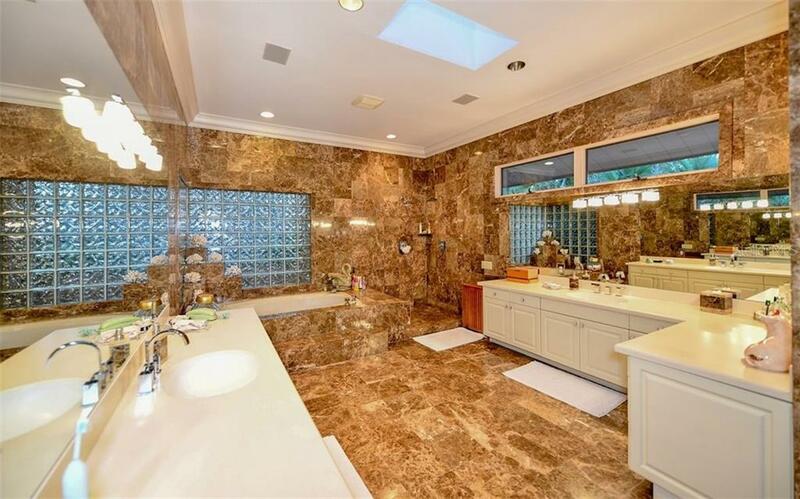 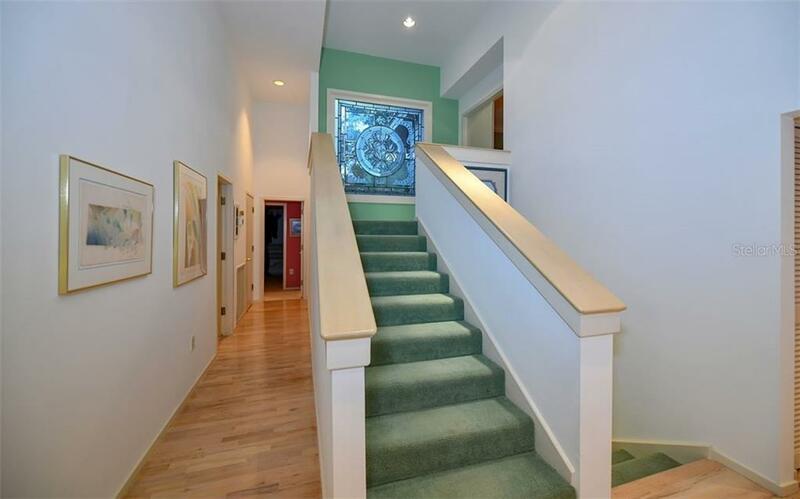 A custom bevel cut glass window creates a stunning focal point on the stairway to a large, secluded master suite with separate sitting area and marble master bath with Jacuzzi, separate shower and walk-in closets. 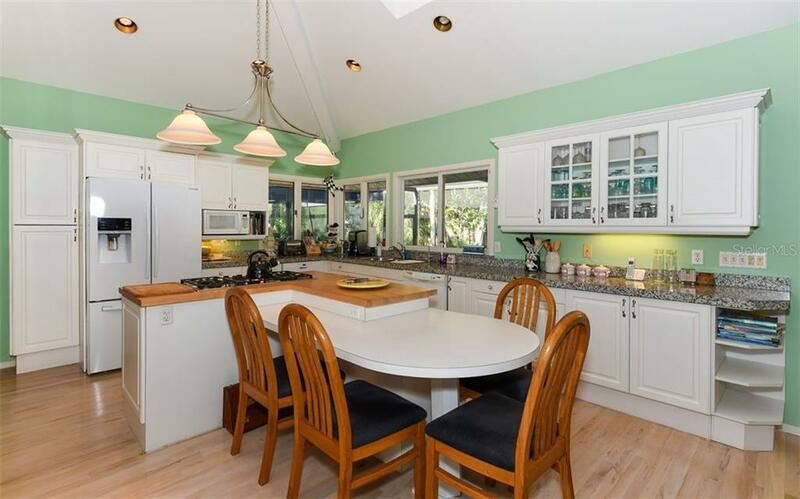 The kitchen is ideal for family gatherings and gourmet creations, with a center-island sitting area, gas cooktop and clean white cabinetry. 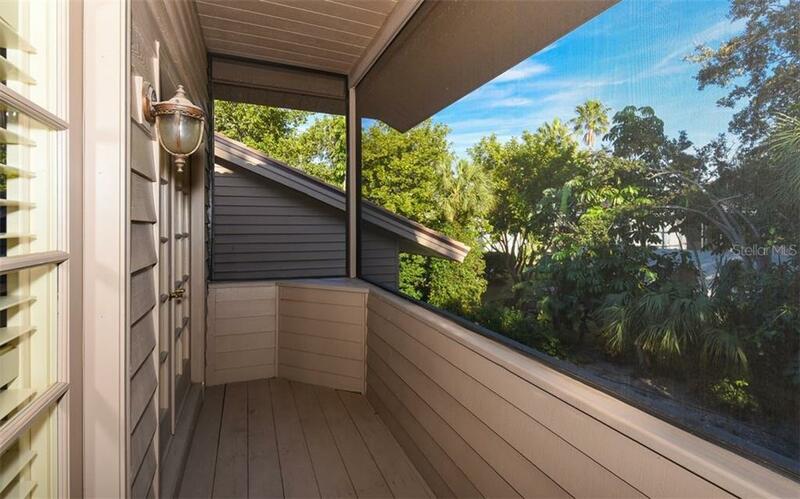 Additional features include a new roof in 2018, Andersen windows, plantation shutters, and 2-zone air-conditioning to ensure year-round comfort. 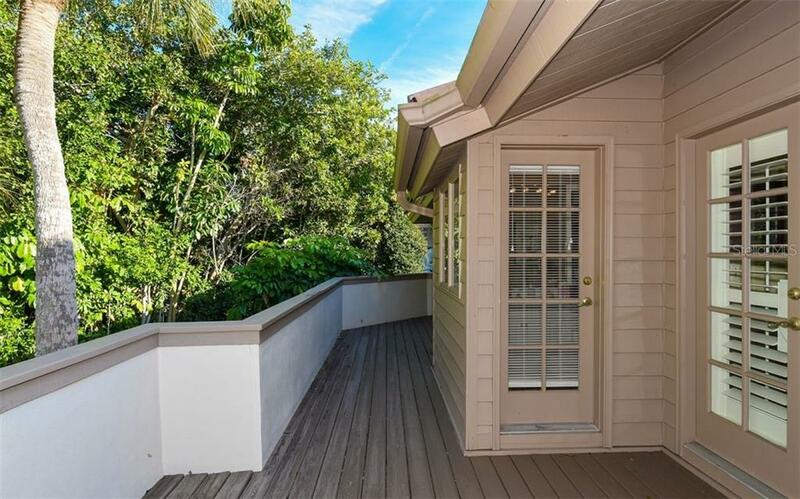 The “Bayou Section” is located on the south end of Longboat Key with easy access to St. Armands and downtown Sarasota for shopping and fine dining.